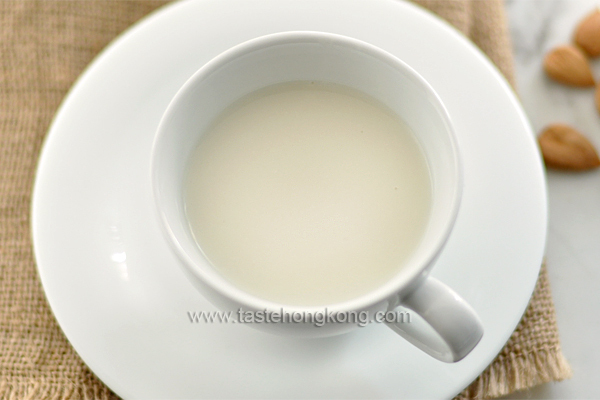 Almond tea, 杏仁茶, has been consumed by women since ancient China for thousands of years. Legend says that almond tea was enjoyed by imperial royal consorts and concubines to maintain their skin’s softness and clarity. 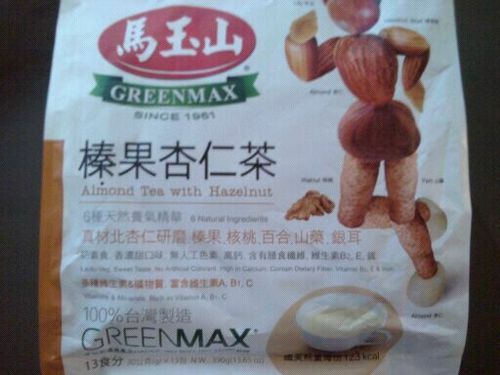 Almond tea contains no real tea leaves or caffeine. It is simply prepared just like soy bean milk. I love almond tea, but I do not have the time to prepare it with fresh almonds. 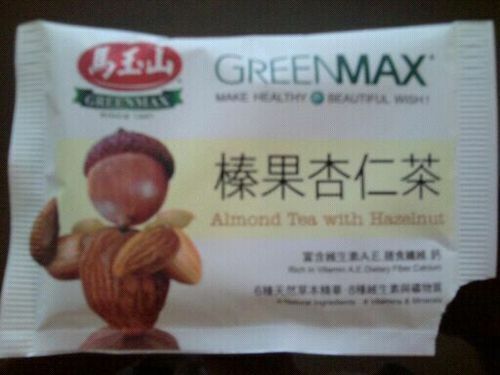 The almond tea that I like to drink is produced by the brand, Greenmax. I purchase their Almond Tea with Hazelnut from my local Asian grocer. 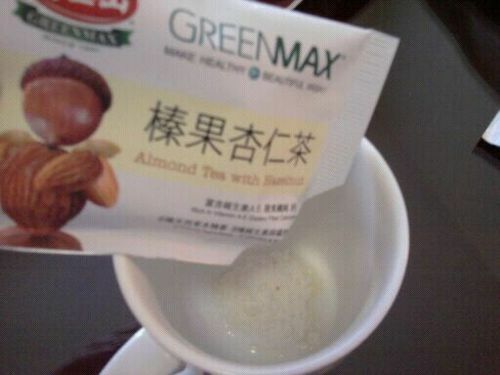 I love Greenmax’s almond tea because it is easy to prepare with simply hot water. A pack of 13 packets costed me around $7USD. I wouldn’t say that I have any immediate noticeable skin differences from drinking almond tea. However, I love the taste, the smoothness of the drink. Therefore, I will continue to consume almond tea for its taste and also its health benefits. Ingredients: Natural Almond Powder, Hazelnut Powder, Yam, Fungus, Milk Powder, Corn Starch, Walnut, Lily, Crystal Sugar, Vanilla Powder, Almond Oil, Vitamins, Minerals. *Contains no artificial colorants. Rich in Minerals, Vitamin A, B1, C, B2, E, Iron, and Dietary fiber. Snow fungus, 雪耳,is another magical ingredient for skin. It is a gelatinous mushroom, used in Asian desserts and dishes. It is known as an alternative to Bird’s Nest. My mother usually prepares me snow fungus with papaya and rock sugar when she has time. I notice immediate results from consuming snow fungus for several days at a time. I do not notice any difference in my skin when consuming bird’s nest. 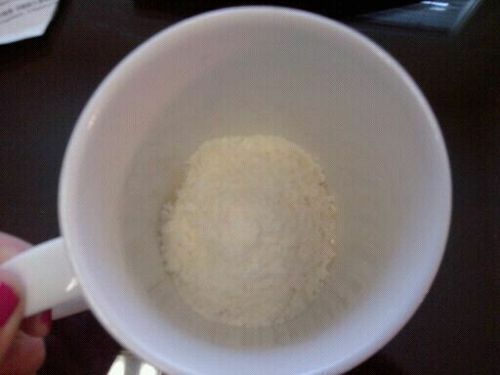 When I consume snow fungus, my skin is boosted with extra collagen, feels more supple, bouncy, and moisturized. It is almost like consuming large amounts of FINE collagen powder drinks, but with super immediate results! I’ve learned to prepare different varieties of snow fungus desserts. I like to prepare it with papaya and rock sugar, Korean pears with red dates and sweet almonds, and plain with brown or raw sugar. Preparing a pot of snow fungus takes a few hours. In a near future post, I will teach you how to prepare this super collagen skin superfood! Snow fungus can be found in most dried good sections of Asian supermarkets for around $5USD. 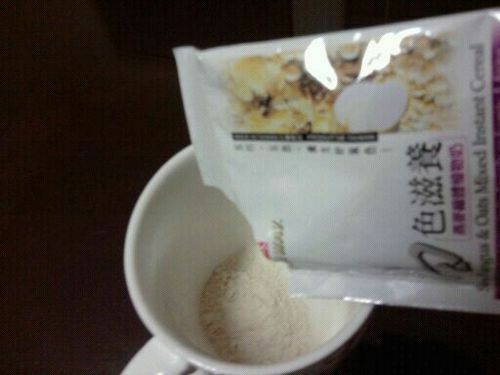 In the mornings, I like to prepare a packet of Snow Fungus & Oats Mixed Instant Cereal, from the brand Sunway. I also purchase this from my local Asian grocer for around $7USD for a pack of 15 packets. 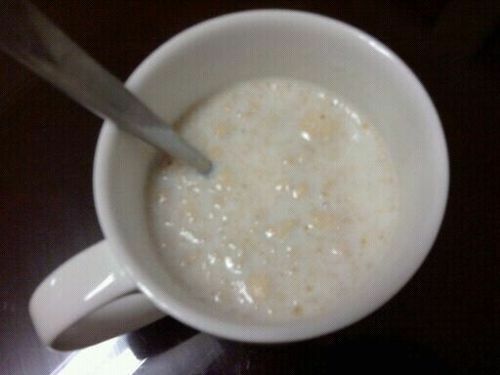 I like consuming this healthy cereal mix because I do not have the time to always prepare snow fungus dessert soup. 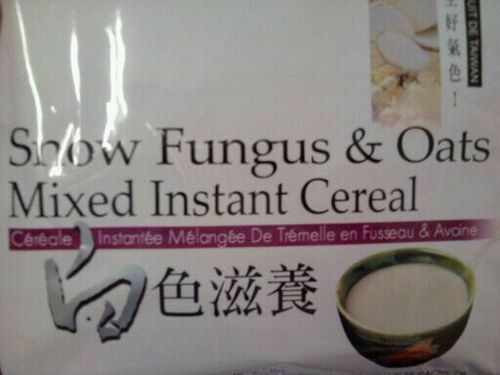 I can get my intake of snow fungus from eating this cereal. 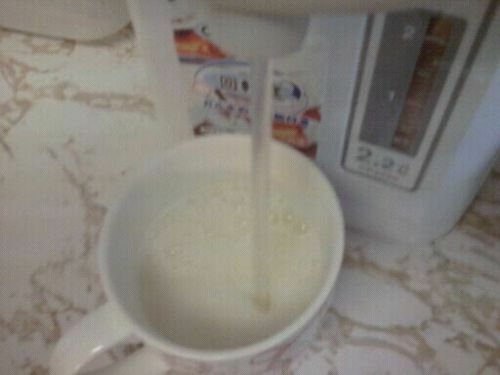 It is easy to prepare with warm milk or hot water. Ingredients: Oat, Soy lecithin, flax seed, pearl barley, yam, walnut, snow fungus, lily bulb, almond, lotus seed, whole wheat, buckwheat, pine nut, glucose, vanilla extract, inulin. 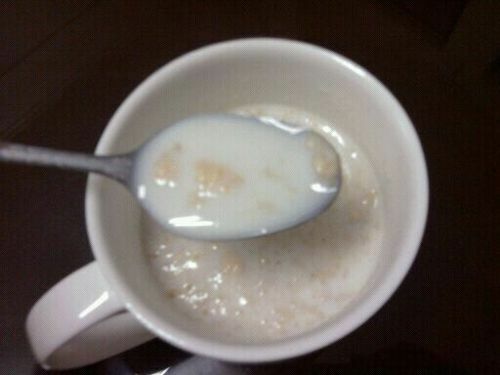 *Contains now creamer and milk. Sugar-free. Vegan. Almond tea was one of those fine foods the imperial families in the older days enjoy eating, folklores said. They also said that the imperial concubines loved to eat this for keeping their skin supple and glowing. 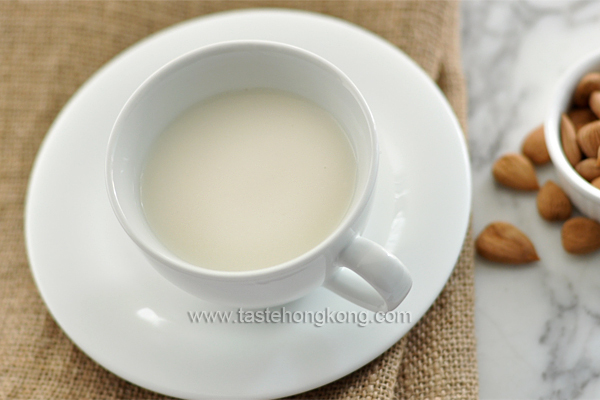 Nowadays, almond tea 杏仁茶 is often served as a dessert, a sweet drink. It can be made solely from Chinese sweet almonds (aka south almonds), or with the addition of rice for a creamier texture, the traditional way. It contains no processed leaves but is called a tea because in some cases, tea also means a drink in Chinese. Making almond tea, like preparing soy bean milk, is all about soaking the kernels, grinding them with water and finally straining out the juice. In this recipe, we also add rice, sticky rice to be specific. You may also use white rice for a thinner texture or brown rice for a healthier choice. For further variation, also try the almond milk (without rice) in papaya, a steamed way. With or without rice, it is still a dairy-free drink, packed with pungent almond flavor. Skinning Chinese sweet almonds could be as easy as skinning chestnuts. Or, you may also opt for those already skinned. Check it out at stores selling Chinese dried foods or dried herbs. Mind you, ask for sweet almonds (南杏) not bitter almonds (北杏). 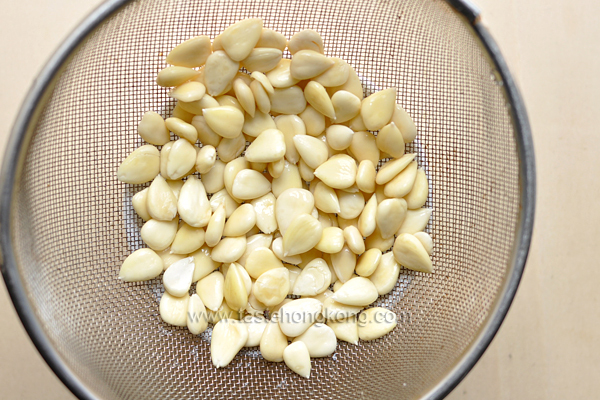 To skin almonds, blanch them in boiling water for about a minute and immediately drain the kernels in a colander and rub off their skins with a towel (like this). Wash sticky rice. Soak it in water for about 3 to 4 hours or according to instructions (wash and soak skinned almonds too, about an hour or two). Discard water. Pulse rice and almonds with water in a food processor until finely ground, about half to one minute. Line colander with a muslin or fine clean cloth; place the colander over a bowl or pot to catch the liquid, strain juice from the pulp (photos) as much as possible. 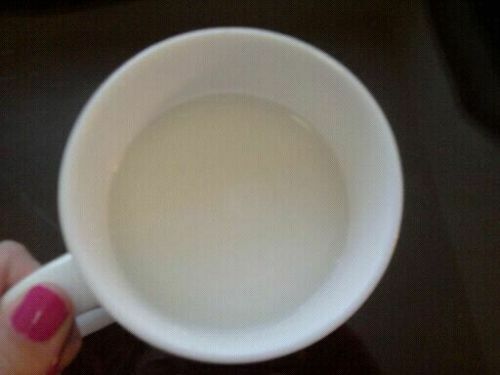 Pour the juice into a pot, filling it only half full because the almond milk will turn frothy and may spill. Then cook it over medium to low heat until it reaches a boil, stirring occasionally; you may add some more water for a thinner consistency. Add sugar, and simmer until dissolved. Serve hot or chilled (I like it hot).